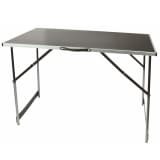 If you don’t have a lot of space to spare, or you don’t always need a table in the room, a folding table can be the ideal solution. 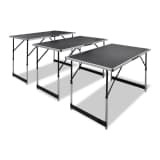 These tables are easy to fold up and put away, saving you a lot of space. 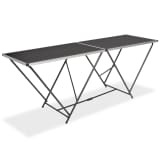 vidaXL has foldable tables for both indoor and outdoor use. 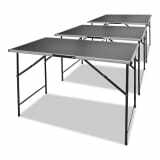 Our selection also includes foldable pasting tables. And because we know you’re not constantly putting up new wallpaper, it’s nice to have one you can put away without it taking up too much space. 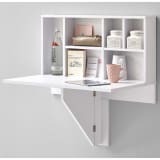 In smaller rooms, the practical option is having a table that is easy to fold away. If you can put the dining room away during the day, there will be more space to move around, or for the kids to play. 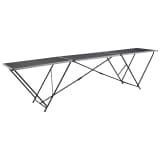 The same goes for a folding table in a small garden. 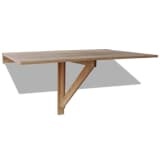 When you want to sit outside or have dinner there, this table is easy enough to set up. When you put it away, it doesn’t take up a lot of space, so it’s easy to store in the garage when it’s not in use. This is also true for the pasting tables. 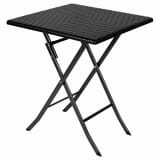 Foldable tables can come in handy both indoors and outdoors. A foldable garden furniture set is convenient, because it’s easy to put away once summer has ended. They also don’t take up a lot of room once you fold them up. Foldable side tables are also very convenient. When you have a lot of visitors, or you need an extra place to put out snacks, it’s easy to set up an extra side table. 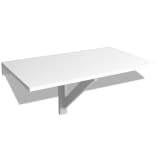 Browse all vidaXL tables and pick your favourite designs.